Basically exams are conducted to analyze the amount of knowledge a student possess. This is one thing which all the students fear. There is not really any student who enjoys exams or the feeling it raises in students. Many students out of exam tension feel very low and down and ultimately become sick. This badly effects their studies and over all health. Students with mental illness are not able to prosper well in studies. That is the reason motivational quotes for exams are very important for students. This quotes help the student to avoid fear and study actively with out any chaos. 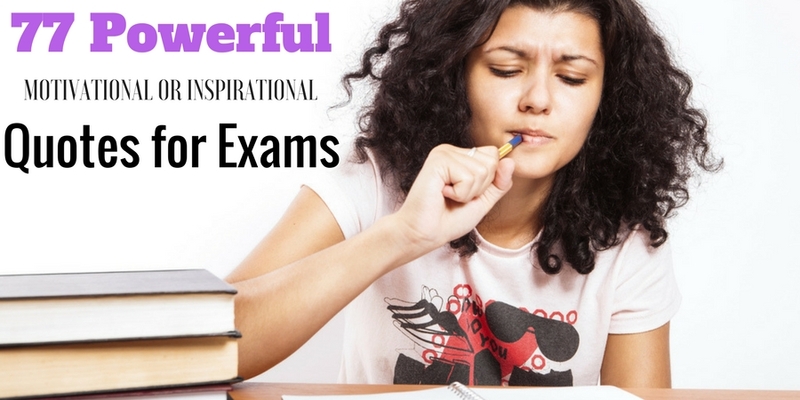 Regardless of what kind of student you are, these exam inspiration quotes will help you center and see the comprehensive view. 46. “Few minds wear out; most rust out.” – Christian Nextel Bovee.